Durant, as you might recall from this post, was featured in a recent New York Times piece about modern cavemen -- strict adherents to the Paleo Diet whose exercise routines emphasize natural movement. It’s easy to dismiss Durant as just another attention-craving New York hipster glomming onto an obscure fad for the sake of getting noticed. But if you can get past all that, there’s some really interesting stuff beneath the surface. Even if you’re never going to give up eating grilled cheese sandwiches and don’t plan on running through a jungle and pole-vaulting onto a bunch of boulders, we can all learn a little something from the caveman lifestyle. First, let's start with the article that generated the current mainstream interest in Durant and his fellow modern cavemen: "The New Age Cavemen and the City." You can eat as much lean meat, poultry, seafood, fresh fruit, and veggies as you like. Foods that are not part of the modern-day Paleolithic fare include cereal grains, dairy products, high-glycemic fruits and vegetables, legumes, alcohol, salty foods, fatty meats, refined sugars, and nearly all processed foods. There are a number of crucial exceptions to these fundamental rules ... Case in point: Immediately before, during, and after a workout or competition, certain non-Paleo foods should be eaten to promote a quick recovery. During all other times, meals that closely follow the 21st-century Paleolithic diet ... will encourage comprehensive long-term recovery and allow you to attain your maximal performance potential. Wikipedia features a lengthy article about the paleolithic diet, too. Last year, Le Corre was profiled in Men's Health magazine by Christopher McDougall. The article, entitled "A Wild Workout for the Real World," is an engrossing read. McDougall, who's best known for writing the bestselling "Born to Run" (the book that first got me and just about everyone else hooked on barefoot running), visited Le Corre's training base in the Brazilian rainforest, and after three days, ran a 12-station obstacle course in the jungle, "springing up into trees, contorting through the branches, and shinnying down 15-foot poles." [Le Corre] has us hoisting heavy logs on end and flipping them, top over bottom, up a hill. He has us crawling around stakes in the ground and snaking on our bellies beneath an overturned dugout canoe mounted a few inches off the ground. Even a small cabin comes into play: He has us vaulting through one window and out the other. As I approach the end of my second lap, I have only two obstacles left -- a leap from the porch and then a quick climb up a 20-foot pole braced between the ground and a branch high in a tree. I'm trying not to show it, but I'm on the verge of grinning with pride. Two days ago, my heart was in my throat before every jump. Now, after just 72 hours, I feel unstoppable. As McDougall's article points out, Le Corre's MovNat is based on Méthode Naturelle, an approach to survival fitness pioneered by Georges Hébert at the turn of the last century. Hébert's teachings greatly influenced the development of parkour and freerunning. And to tie all of this back to P90X, I'd be remiss if I didn't mention that Mark Sisson -- the P90X supplement creator who pops up in those post-workout commercials for overpriced Beachbody supplements -- is the author of "The Primal Blueprint," a diet book rooted in paleo concepts. You can read more about it on Sisson's blog. Some think that eating and running like our prehistoric ancestors is stupid and weird. To them, it's just a fad -- a momentary, knee-jerk throwback that ignores all the progress we've made as a species. But clearly, there are those who believe that technology -- including processed foods (even grains) and highly-engineered footwear -- are getting in the way of true human potential. I, for one, am not about to ditch grains and dairy altogether (although I'm largely abstemious of both already). Plus, I'm naturally risk-averse, and you won't find me heaving large rocks while balancing on a tree branch. 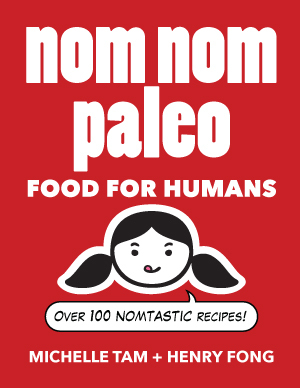 But I am considering whether to reasonably fit some paleo concepts (e.g., limiting intake of grains and dairy, focusing on functional exercise, etc.) into my diet and fitness routine.